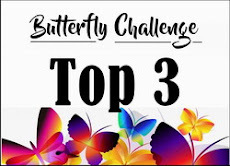 Butterfly Challenge: #8 Butterfly Bingo. Winner's results are in the post below. who became the 100th follower. 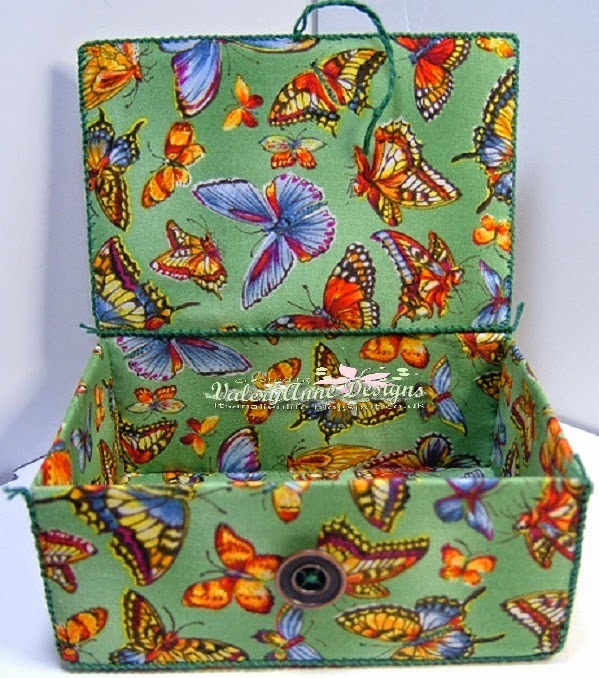 A material box full of metallic butterfly toppers. I hope you enjoy Maria. to those of you who had an email requesting your favourite colour. Without your playing along each week there would be no challenge. Therefore there will be 2 Winners and a Top 6. Please use the grid below to complete your project. You may use any line that dissects the Butterflies in the centre. When uploading please state in your post which line you have used. Margaret has incorporated 2 lines on her card. to create this lovely dreamy colour and a fantastic background . 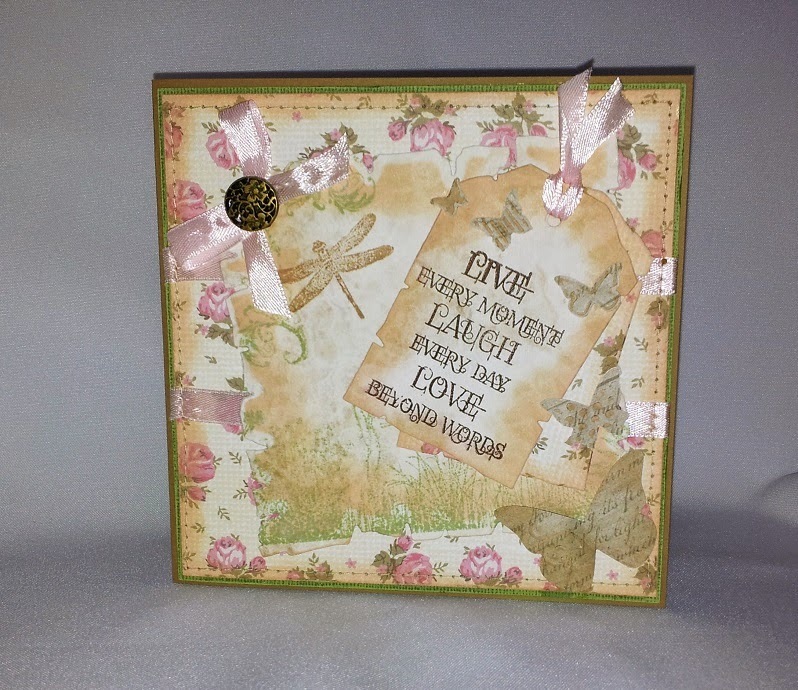 to create this lovely woodland scene with added sentiment tag. 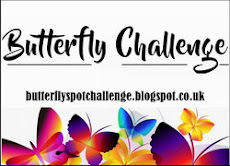 without which this challenge blog would never have left the ground. Full details on my blog. 3 sheets of Kanban 'English Reviera' background card. This challenge will run for 4weeks. It's like a Chinese laundry here today but I just had to hop by and see what's going on! Beautiful cards by Mags and Lynne and of course I adore your card you made me! It's right here in front of me, on the peg board right in my line of sight! Oh, another fun challenge! I like your Bingo! Your featured cards are gorgeous! I love butterflies so much - I use them on almost every card! I will be back to play along! Have a great day! Hello....I couldn't leave on holiday without fluttering by. I'm impressed with all the new followers. And a talented bunch they are. Happy crafting....now I need to get busy and get my packing finished! Don't know what I'm doing wrong, but cannot add my link. It gets as far as asking for my name and link of the post, next screen, I added the picture, and then it doesn't react, I only get the choice of done, but that doesn't add the link to the blog. What am I doing wrong? don't know what happened, but now suddenly the link is there! Thanks for this challenge, I'm trying to join every time! This was a fun challenge Mrs. A. ...and oh, the dear old postie gave me a surpirse today!! 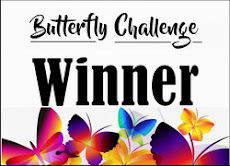 with a parcel from Uk of curse my brain was totally dead and simply could not remember what it was.. as had not bought anything .. what a great surprise all over again to find the butterfly embossed die .. thank you so very much! it is wonderful, have played with some snippet of black card and iridescent ink pad on it just for fun, and looks really fab..
.. but not time to do more, think it would look great with some tea bag folding in centre..
Home from a fantastic holiday. Thought I'd just flutter by one more time. Can you believe May is coming to an end. Where does the time go? Happy Crafting! Huge apologies but I somehow linked up twice, sorry to be a pain but could your remove one please. 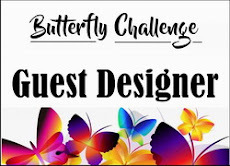 So long since I entered a challenge think I have forgotten how to do it, but have been wanting to join in since you started. Me again, should have added it's the second entry and link that's incorrect. I've added my entry, it may have uploaded twice. whoopsy! Hi Mrs A . . . thank you for informing me that I've completed a Bingo line. Have now linked my pop-up box into your challenge. Playing along just for fun though, exclude me from the prizes. I have eventually got round to my entry into challenge No 8. Thank goodness this was for 4 weeks. Love the super box for your 100th follower. I bet she will be so pleased with it. Your guest designer creations are super too. Love the grid idea, and I;ve used the central vertical line of die cuts and designer papers! Beautiful inspirations again - thank you. Please make sure that you put on your sun glasses to view my entry!! I've been missing this challenge! Having it for 4 weeks is a good thing! What wonderful inspiration you have from you, the guest designers and the gallery! WOW!